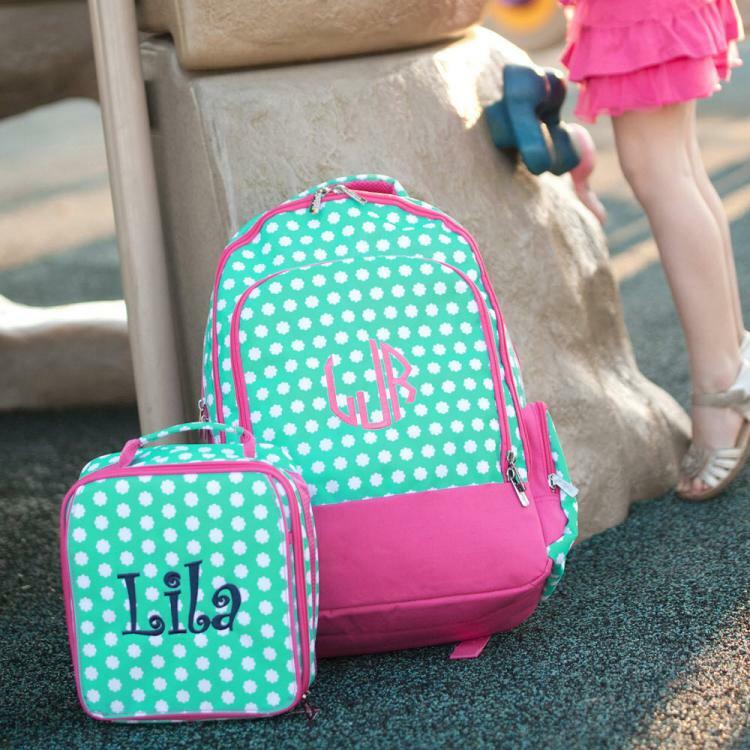 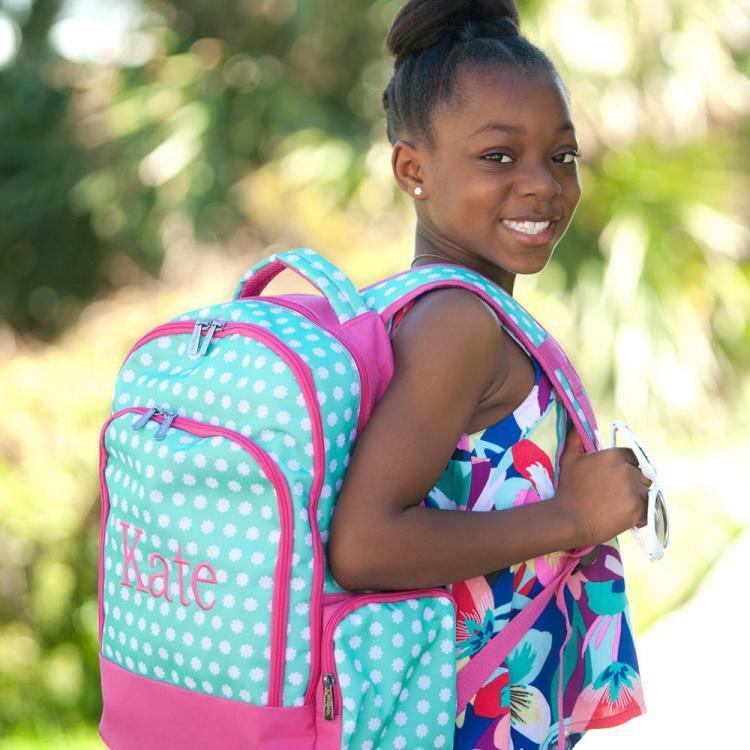 Adorable white blooms adorn this mint green backpack in a polka dot design and put a little pep in everyone's step. 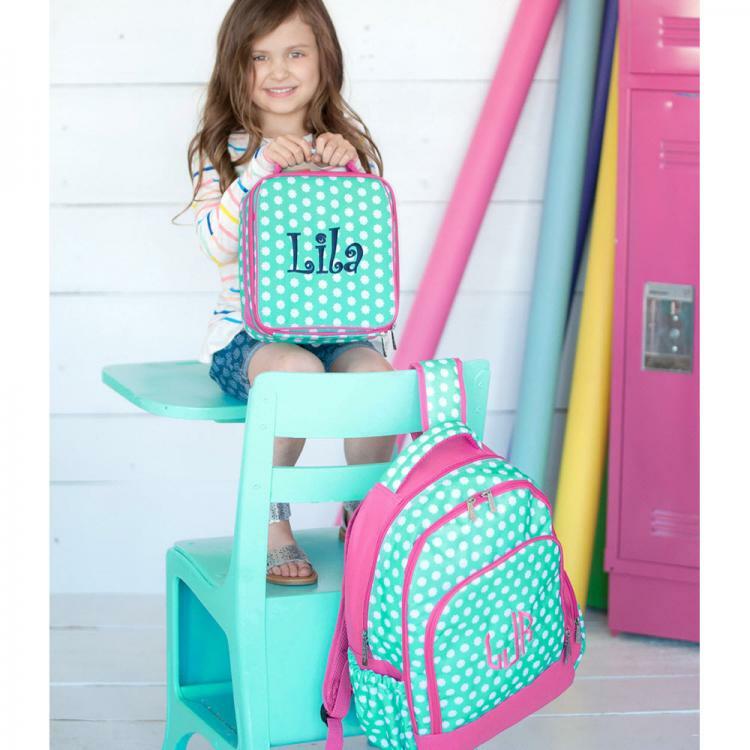 Made of a durable material that is easy to clean and have a place for everything, keeping supplies organized and easy to find with two large zippered compartments, side pocket for a water bottle, side zippered pocket, and a front zippered pocket. 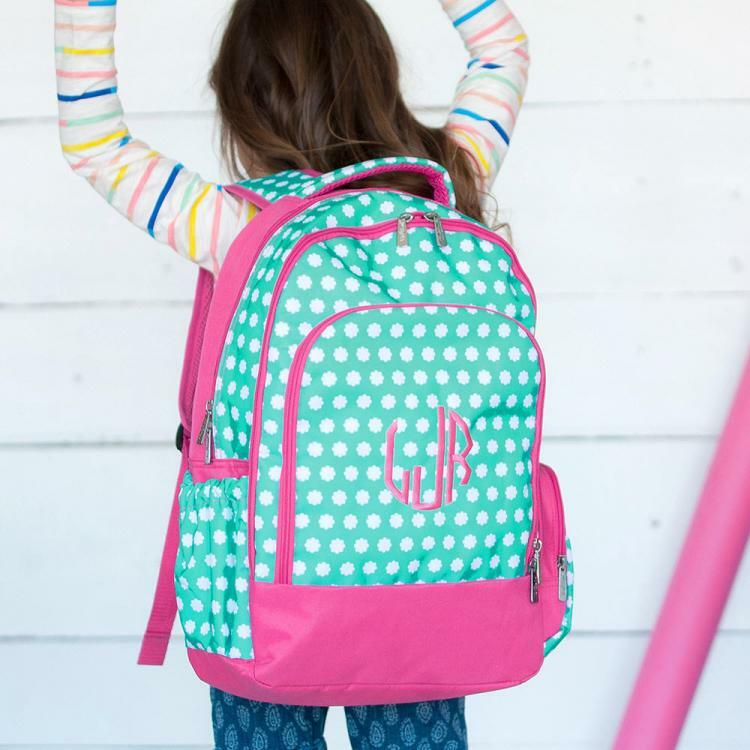 All you have to do is decide what you want to put where and you will always be prepared.This is part of our back to school collection designed with fun and functionality in mind.